Proven Winners® isn't just our brand - it's our guiding principle. The trialing process begins in the breeder’s field. That could be in Japan or Europe, or it could be in our breeding field here in Grand Haven. This is where the majority of plants are rejected. It’s also where the gems are found. 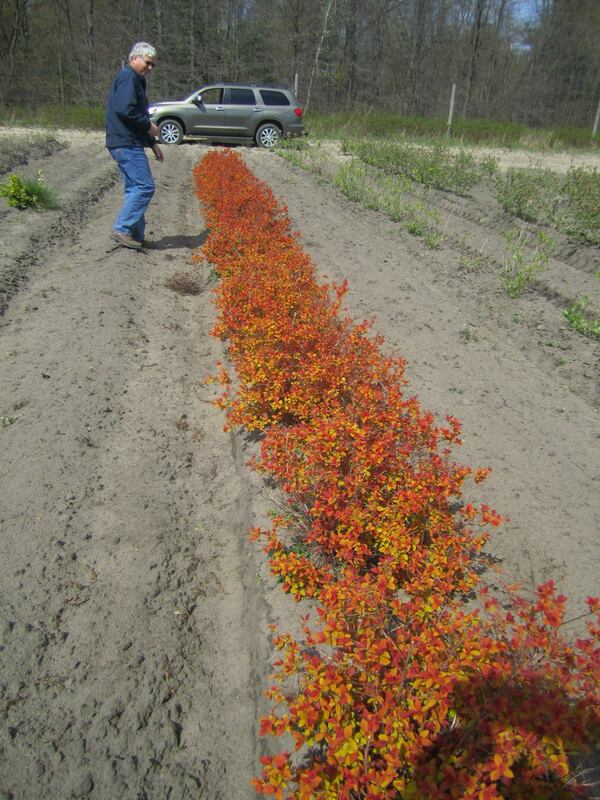 A typical shrub breeder typically evaluates his or her plants for a minimum of four years. The breeder is often an expert on the species they work with and has specific goals for improvement, which helps determine if and when the goals are accomplished. Spring Meadow also evaluates the breeder’s plants, comparing them with others we have seen, both domestic and abroad. Before we take a plant back to our nursery, we have a pretty good idea about its potential. The container trial begins in our six-acre R&D greenhouse, where we evaluate propagation, production, and how well a plant grows and looks as a finished three gallon. Thirty units of a potential introduction are grown alongside other potential intros; the best commercial comparison varieties are also included as a control. After all, a new introduction must be better than what’s on the market. Our R&D crew regularly records data on growth rates, flowering times and duration, bloom size and color, and habit. Regular photographs document the results. Plants typically spend at least two to three years in this evaluation phase. If a variety looks promising in our greenhouse container trials, we will propagate it to build mother stock in anticipation of releasing it. We may or may not need this stock, but this allows us to launch a variety quickly if, and when, we decide it’s worthy of introduction. In the end, a plant’s market potential is determined by its performance in the ground. It has to be a good plant for the end consumer in the garden or landscape. This trial normally begins while the container trial is in progress. Five plants of each variety are sent out to an open field where they are exposed to full sun, wind, and all the elements. Three plants are sent to our trial garden where there is more protection from wind and the plants are given the appropriate exposure. 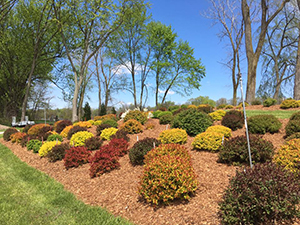 This landscape environment more closely simulates how homeowners and landscapers would grow their shrubs. Our 14-acre trial site on the Grand River affords lots of unique microclimates for us to utilize. For example, one area of the garden is flanked by the river on one side and a large marsh on the other, creating high humidity that's ideal for testing the powdery mildew resistance of particularly susceptible species like Physocarpus and Spiraea. During this phase, we evaluate for disease resistance, sun tolerance, burn resistance, suckering, habit, and winter damage. Growers who visit or attend our Leaderboard Summit are invited to give their feedback by flagging potential introductions that are of interest. In addition to our trials in Michigan, we also have off-site trials in Florida, Texas, and Canada we can utilize to test for heat and color weather tolerance. Field and garden trials last from two four years. During all three phases we are continually rejecting and discarding inferior plants. Winnowing down the selections to the very best plants is a difficult, expensive, and grueling task. The highest performing varieties are given a potential introduction date, and even more mother plants are produced. But this does not mean they will be needed. We might still have to narrow down our top two or three selections to one introduction. During this time, we will also start the process of getting good commercial photography of the plant and taking patent data to get an accurate representation of its characteristics. We'll also start the crucial, and often excruciating, task of coming up with the perfect name (or sometimes, even a good name) for our new introduction. Once we've ascertained that a plant has market value, that it grows and propagates well, that it will look good in a container at retail, that it performs well in the garden, and that it’s an improvement over what’s available on the market, we seek feedback from our growers. Each year, we bring in over 100 of North America’s top growers to provide us with additional guidance. We show them our trials and our most advanced selections, and they vote for the plants they feel have the best market potential. They tell us about their needs and give advice about how each variety will grow and be received in their particular markets. Growers demand plants that can be successfully propagated, grown, and finished with the least amount of inputs and in a reasonable amount of time. The plants must ship well without damage or claims, and they must present well, and turn quickly at retail. If a new plant does not meet these expectations, it has little chance of success. If we have determined that we will move a selection toward introduction, we start building liner inventory to meet potential customer demand. Contrary to popular belief, it is never our desire to be sold out of anything - we'd always prefer to fill every order that comes in for a plant, even the most in-demand new selections. Decisions on a new plant are being made right up until the Spring Meadow catalog is sent to the printer. Even after the catalog is mailed and plants are shipped, the ultimate fate of a new plant is never secure. Everyone has to have success: the propagator, the grower, landscape, the retailer and the end consumer. If a plant fails for any of these people, it will not be successful. If new plant is trialed and tested in twelve different locations, but fails in your zip code, it fails. Eventually the best plants win out, and this is ultimately determined by the market. Introducing, producing and managing new plants requires that we listen to the market. If a plant variety, be it new or old, is not performing, it needs to be dropped and, if possible, replaced with something better. That is what we strive for with our shrubs and those brought to us by outside breeders. That is the quest: not just new, but better. That is the essence and promise of Proven Winners® branded plants.